These are whole leaf organic Oolong tea grown in MIM Tea Estate in Darjeeling. The property of these tea fall in between black and green category. In addition to the health benefits associated with black and green tea, these tea are considered helpful in reducing fat. Darjeeling Tea ocupies a place of pride for the whole of India. If destiny looks like a cup of tea and the Darjeeling Tea has proven it years ago. 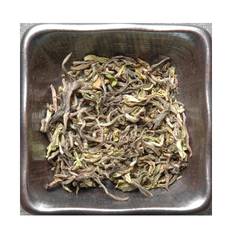 This tea itself is a perfect cup with a lingering floral note. In order to accomplish specific demands of our customers, our firm has come up with a huge gamut of Darjeeling Tea. We offer the best quality Darjeeling Tea. Each leaf is handpicked and noted for its 'two leaves and bud' quality. Such precision and detail in selection of tea leaves makes the final product a labor of effort and love. Even after picking, this tea goes through strict tea making procedures that exultantly maintains its rich flavor and aroma. Taipoo, the century-old estate at the foothills of Bagdogra has lived up to its reputation for so many years. Taipoo is located within 10 km. from the Bagdogra airport in the Terai region of Darjeeling district in West Bengal. The estate is located on the riverbank of Tepoo. It has a total grant area of 388.89 hectares and produces 1.40 million kgs. of tea annually. With a firm commitment to quality, our organization is involved in providing Darjeeling Tea. Super Fine Organic Darjeeeling tea, prepared by small tea farm. Every tip is carefully picked up and processed to get tne best flavoured tea. 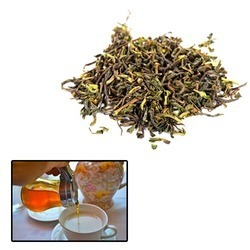 Darjeeling Special Rose Black Tea., Pack Size: 205gm. To 500gm.